GIBV had already worked with many community organizations, prior to the 2014 general elections, to convince NRIs the need for a Bharatiya Janata Party (BJP) government. 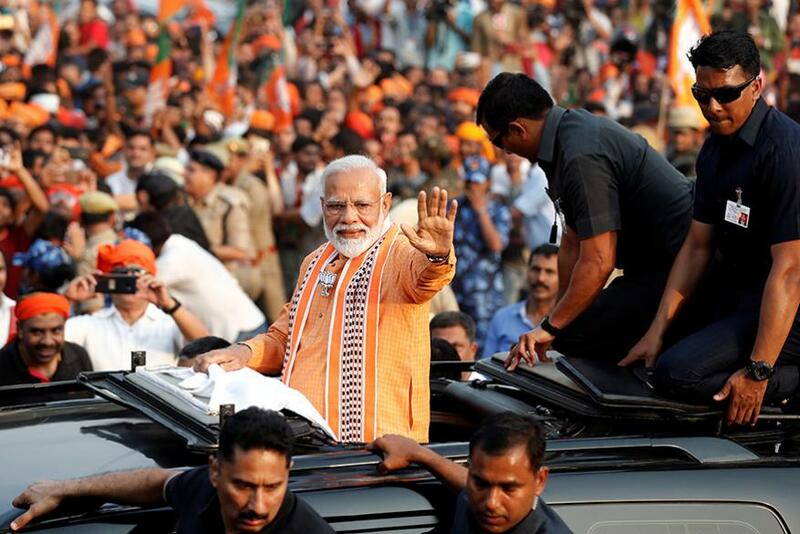 New Delhi: Global Indians for Bharatiya Vikas (GIBV), headquartered in the US, will campaign across the country for the next six months with the twin agenda of ensuring maximum voting and having one political party secure an absolute majority in the forthcoming general elections. While the organisation did not name the party, it had already worked with many community organizations, prior to the 2014 general elections, to convince NRIs the need for a Bharatiya Janata Party (BJP) government. GIBV has roped in Somabhai Modi, elder brother of Prime Minister Narendra Modi, to carry out its activities in the country. Besides, several top academics and political leaders associated directly or indirectly with the BJP, have also pledged their support to the GIBV. Somabhai Modi said, "I have associated myself with this organisation because I firmly believe in what they are working for. This country needs a governance by a party with absolute majority in the Parliament. Volunteers of GIBV will travel across the country and tell people to vote in large numbers." Hasmukh Patel, a NRI from the US, said, "During the 2014 general elections, about 3,000 people from the US, UK, Australia, New Zealand and other countries had visited India to promote the concept of nationalism. We expect more people this time too." He added that overseas supporters of Prime Minister Narendra Modi have increased manifold after he became the PM. Another office bearer of the organisation said that over 5,000 NRIs will be visiting India to for the GIBV ahead of the elections next year. Former MLA and minister Maya Kodnani and former Vishva Hindu Parishad (VHP) leader Jaideep Patel presided over the event among other leaders while speaking to the media in Ahmedabad on Friday. "We have nothing to do with politics as an organisation. Nationalism is the dharma of every Indian and we will promote it. In the 2014 general elections, we worked to ensure 70% voting. It stood at 67%. We are happy that our efforts paid fruit," said Anjali Pandya, general secretary of the organisation.